From the opening lines of We Don’t Care it seems that The College Dropout is set to be yet another ‘Gangsta Rap’ album. As soon as the song ends and melts into an interlude featuring some incredibly emotive chord changes the producer that Kanye West truly is comes into view. 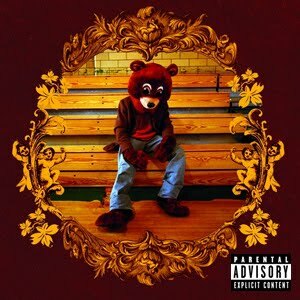 This one moment defines everything great about The College Dropout. Career highlight Jesus Walks is his most interesting record, lyrics that mean more than the ‘guns hoes and rims’ mentioned on Breathe In Breathe Out attaching themselves to the most epic, and expansive production seen on any debut album. Similar Album: The Blueprint – Jay-Z – The precursor to the beats seen here, top quality production. Tags: Kanye West, The College Dropout. Bookmark the permalink.